How does it feel to know you have given over 150 hours to making FoodCycle Monkchester (formerly Byker) happen? Feels good to know that that’s 150 hours gone into preventing food waste. Every week I come across soooo much good food about to be binned, which has taken time, energy, space, water and chemicals to produce, which is wrapped up in excessive single-use plastics and packaging, often shipped from the other side of the world and requiring energy-draining storage. So yep, good to know I’ve helped FoodCycle Monkchester save even just a tiny amount. 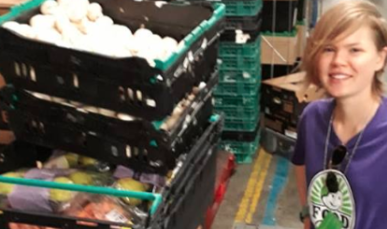 Why did you first get involved with FoodCycle in Newcastle? I was aware of the insane amount of food waste in the UK and was looking for ways to help tackle the problem. 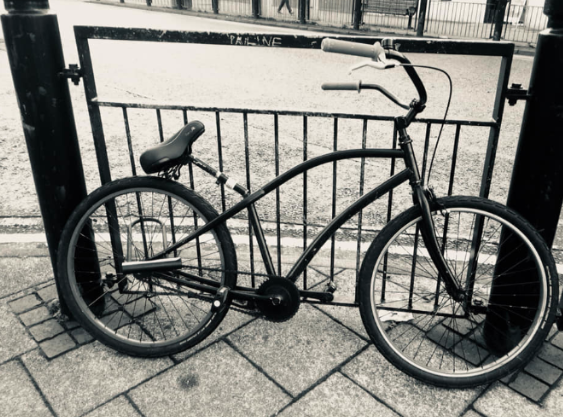 Then I found out that FoodCycle was coming to Newcastle and after one phone call with Harry, the Regional Manager, I was pretty much sold on being a Project Leader! 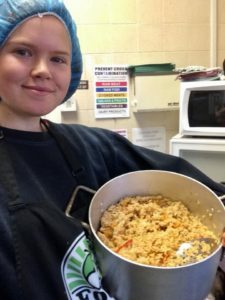 What do you most enjoy about volunteering with FoodCycle? I love the group of people I volunteer with. There’s such a nice mix of ages and personalities so we make up a pretty quirky group. But it’s always a laugh and is refreshing to spend time with everyone. I also love the cycling collection. It’s such a nice way to start the day, getting some fresh air and exercise with a lovely group of people. And somehow we’ve managed to manipulate the weather so that it’s always* sunny for our ride. Praying in vain to get some Brussel sprouts on our unpredictable food pick up. Then arriving at the last supermarket to more Brussel sprouts than I have ever seen in my life. If FoodCycle was a fruit or vegetable, what do you think it would be and why? First instinct is beetroot… but my first instinct to most things in life is beetroot… wholesome, down-to-earth, but so fun and bright when you cut into it. And in the nicest way possible, the colour is impossible to get rid of and infiltrates the rest of your day. Or can I say a Cox’s Orange Pippin or an Egremont Russet apple? Just because they’re mint, local fruit that deserve a shout out. What else do you do when you’re not being a fantastic FoodCycler? I help out with a few other food waste projects, work in an Indian dosa restaurant and do a bit of delivery cycling. What would you say to anyone who is looking to do some volunteering for the first time? Good food, quality people, no commitment, why not? Inspired to volunteer with us in Newcastle or at your local project? Sign up here.